When my daughter was two, she became completely obsessed with Dora. She loved the show, the toys, books and basically anything that involved Dora. Being a first time Mom, I didn’t fully grasp how long this obsession would last, but it did last until she was around four. Those two years were Dora, fun filled years! We played, ate and slept everything Dora. We talked like Dora, we dressed like Dora, you name it, my daughter was all over it. 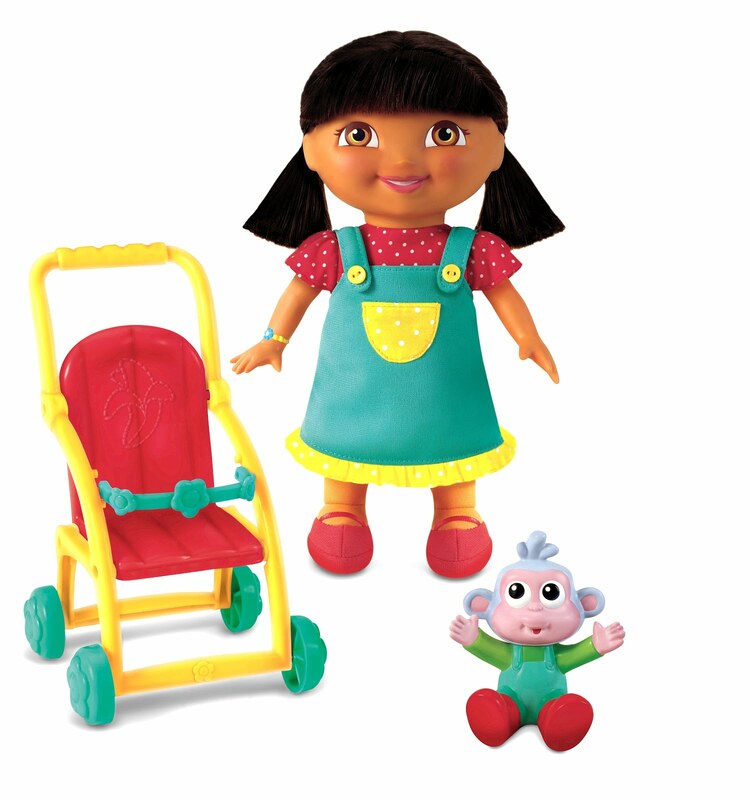 This past holiday season, Dora Playsets were a very popular toy amongst young children. I have a wonderful opportunity for those of you who know a Dora fan! We are giving away a Dora and Baby Boots Stroller Playset by Fisher-Price. This set is available in participating Toys R Us Canadian stores at a retail value of $19.99. I follow your blog in Google Reader and see all new posts there. I subscribe to the Multi-Testing Mommy and found out via email. I read the email you sent me. I’m a subscriber. I received your email this morning and that is how I heard about the giveaway. I love reading your blog…this morning I read it before tea and before feeding cat! She is pacing…I must get up now! I heard about this giveaway through email subscription! I heard about this giveaway on Twitter! I often read your blog and saw the contest. I found it while looking through your blog. I think I hear a little bird telling me about a giveaway. Oh yes twitter whats that Dora and boots I am in. Saw it on Did you know Canada. saw it on twitter and clicked the link. can’t remember who tweeted it though. Did you know Canada Weekly Linky. I heard about this giveaway from an email from Multi-Testing Mommy! Heard about this giveaway from the blogger Multi Testing Mommy. Found from Did You Know Canada’s link. I heard about this giveaway on Twitter. From Frugal Mom Eh’s blog. i visited your blog and saw the giveaway! thank you! I saw this contest on contestgirl.com, but I have read your blog before and would love to win this for my little grand neice. I received the Dora set this week. Thank you, for Samyra and her friends. Yay, Lucie! Thanks for letting us know 🙂 Enjoy!